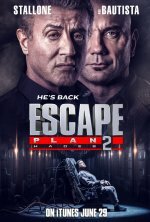 Escape Plan 2: Hades release date was Friday, June 29, 2018. This was a Streaming release. Years after Ray Breslin (Sylvester Stallone) fought his way out of the escape-proof prison called “The Tomb,” he’s organized a new top-notch, for-hire security force. But when one of his team members goes missing inside a computerized techno-terror battle-maze known as Hades, Breslin together with Trent DeRosa (Dave Bautista) must now decipher a way to break into the world’s best hidden prison, release their kidnapped team, and make it out alive. Sequel to the 2013 film written by Miles Chapman. 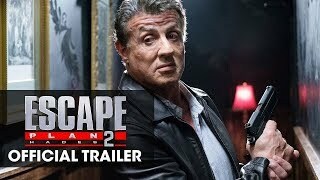 changed the title from "Escape Plan 2" to "Escape Plan 2: Hades"